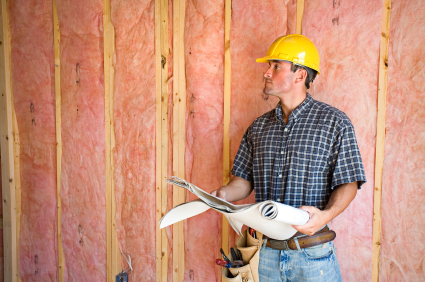 Recent data shows that new construction consents are growing at the fastest rate since 2002, with the seasonally adjusted "work put in place" up by 15% for the first 3 months of this year. This level is welcome news to the politicians who I suspect have been endeavouring to fast-track new consents and in so doing alleviate the shortage of housing we constantly hear about especially as Auckland's populations expands and Christchurch gets down to the rebuild. For me the issue I was most interested in with this latest data is as to whether there is any correlation between the level of new builds and the level of property sales and if so what impact one can have on the other. Diving into the data shows that based on the statistics of the past 12 years, it would seem to indicate as seen from the chart below that the trends of property sales and new construction consents track fairly closely. 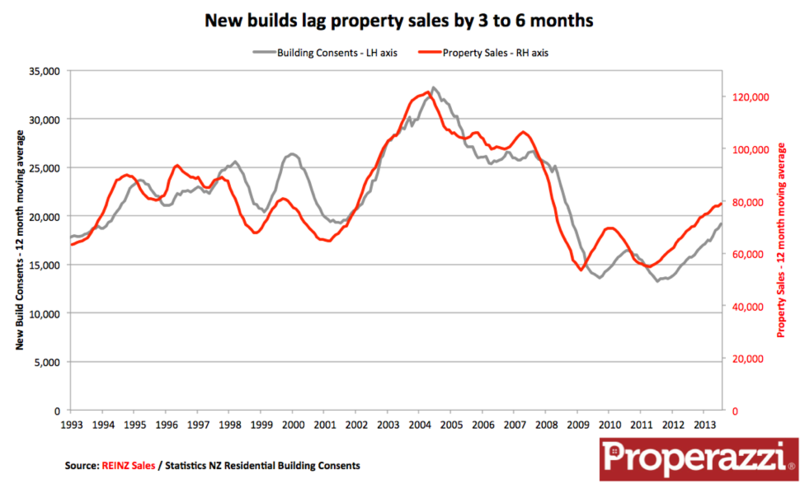 The data would seem to suggest that there is a lag between consents and property sales. This turns out to be 6 months; which when aligning the consent numbers with property sales - 6 months in arrears shows an almost perfect correlation. So having established that there is a correlation, and quite a close correlation at that (accepting that the past 6 months appears to be bucking this trend - more of that shortly) the question is why is that the case? I can only make a supposition as to this correlation, but my hunch is that it all comes down to confidence. The property market in respect of volumes sales is a visible demonstration of economic confidence, at least in respect of the domestic residential economy. A rising level of sales creates the capacity for people to examine and progress on new construction whether that be custom construction projects (which typifies NZ home building) or group home builders. Increasing sales create liquidity in the property market are fuelled largely by easier capacity for finance and these combine to progress construction projects to the consent stage for design concepts that have been sitting awaiting a financial trigger. Naturally with such a correlation the converse is also true and is shown through the data that a falling property sales market has a dampening effect on consenting of projects. The first quarter of this year as highlighted earlier is though very interesting, as we are for the first time witnessing a divergence of these two trend lines. Given the normal 6 months lag we should by now be witnessing the consent levels begin to tail off as property sales plateaued some 9 months ago. The clear assumption is that the construction rebuild of Christchurch and the extra focus on building on Auckland is driving this divergence. This may well be viewed as the successful adoption and implementation of policies at local and national government level.